The approach of the tenth anniversary is hurtling towards me. Anyone else feel this? I do hope so! Now, my desk has seen a little post-Wales action. Although it turns out that if you take 3 and a bit days out of your routine, the stuff consumes you when you get back and it takes twice as long to catch up. I’m pretty sure it’s all connected to the way that time is rushing by. There’s a bit of interest. At left is a pile of four card destined to go to Shopkeeper Gal as samples for the next workshop I’m slated to conduct. There’s a needle felted heart thingy in the front, waiting for me to use as a topper for a card. I made it at Jan’s, she hosted a WI craft morning and we had a go. I was faffing trying to decide what to do when Christine offered me a book of ideas and said the heart was a good starter, and then when she saw what I’d done, suggested it would be good for a card. So a card it shall be. It’s clever, needle felting, but am not sure it’s for me. Only one pair of scissor and one pair of glasses...a minor miracle, frankly, and something else that is always present but rarely seen...the old lip balm. I have them dotted everywhere around the house and car and in my handbag. The damage to my facial nerve means I don’t have spit on one side in my mouth and it’s amazing how dry that makes the lips. You live and learn! There’s also a packet of freshly printed photos, I find that I like the mix of doing really old photos and very current...keeps me going. If I had to do things chronologically I wouldn’t bother, I’d be bored, and my memory wouldn’t work well anyway! Now, if y’all forgive my lack of input last week, I promise to make good this week! 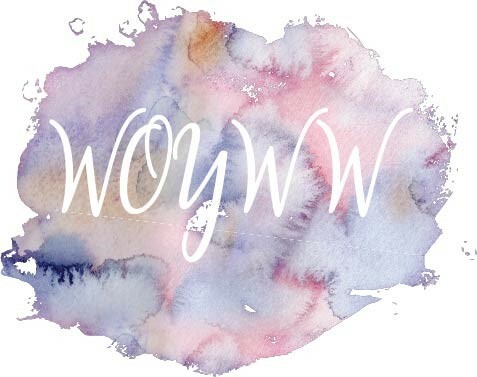 Put WOYWW in your blog post title and link it here please, makes visiting easier! I conducted a workshop last week. Whilst making the kits up, I obviously felt generous and included greeting stamps as well as the alphabet I had used, just in case workshopeers didn’t want to lose the will to live. Oh, and I was trying to avoid the savage comments that come when you force people to use individual alpha stamps! This is the card. I think you can tell that I was very careful with the stamping of the text, I think it actually looks careful! Apart from the smudged ink on ‘niv’ because I didn’t allow drying time in my triumph of getting the spelling, spacing, wobble factor and relative straightness correct. But I digress hugely. Frequently when a workshop finishes, someone cleans the stamps before I chuck everything in a bag. It’s a really nice thing that someone does, particularly as it’s often days before I get round to doing them. Now you can see why I could immediately knew that the stamps would have been cleaned. I can’t help it. It seems easier to find them from the wrong order next time I use them than stop and sort them alphabetically at the time of cleaning. I’m not ashamed, alarmed or worried. Just resigned. Perhaps I should take all of these over to the shop and let the shuddering minds loose on them. Or does that put me in line for a slap, for gross pre-supposition and congenital laziness? And the other square inch of space in front of the computer is crammed full of month end stuff for the business. That’s come round too fast and I am NOT enjoying learning accounts by computer. Gimme a ledger! Here on my real desk I’m playing with ideas for a card making workshop. I try to keep stamping at the front of the workshop because I love it, but it would be very easy to do them all from die cuts and stencil work these days. Anyway, as always, playing with stuff creates a huge mess and a lot of you will be blinking in alarm; I can’t reassure you yet about any tidying up. You can see I’ve been inking and sponging, gah it’s messy. That was Sunday and my nails are still an unrealistically healthy pink! Week 520 and therefore WOYWW 10th anniversary are really coming up now. If you missed it, there’s news about the Crop on the previous post. We’d LOVE to see you if you can and want to come! Meanwhile, keep my untidy mind full of inspiring stuff please - post and link here. It really helps! Well, I think we should re-name it Whizzday. It makes the week surrounding it go so fast! Anyway, you’ll want to know what’s happened here. The procrastination thing...I’ve put it off for a bit. The desk was completely untouched whilst we were away last week. I don’t think they even used the sellotape. So, a little bit In need of a cutting and sticking fix, I have mended the book. Well actually, that’s not true. I have just glued the spine back on. Mr Dunnit is happy with it though, so that’s a result. Then, I waded in and made a scrapbook page. It’s nearly finished, but it got so ridiculously difficult to keep track of colour in the gloom of electric light that I decided not to crash on. Quite mature really. Hey if you’re interested in the where and when for the WOYWW Crop, please look back to the post before this, it’s full of detail. And the promise of cake. When you’ve checked all that out, post your desk in the usual way please, I need your momentum! Thanks ever so. There’s a WOYWW 10 Anniversary crop and you’re invited.. Staying true to the threat that if you organise it, many of us will come, Twiglet and Wipso are hosting this year’s Crop. 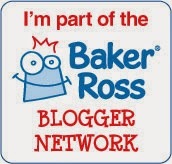 Every Crop is special because it’s a chance to meet the real people that you have met every week for years on your blog. 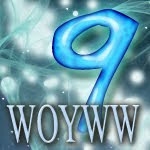 But it has to be said that this year’s get together will have a slight edge as we acknowledge the tenth anniversary of WOYWW. So if you are in a position to travel please come, it will be fun. The venue is about 1 mile east of the A5 junction with the A488. It is easy to find by road and about 10 minutes from the centre of town by bus. The bus station is a 5 minute walk from the rail station. Bus Number 20 Radbrook Green. There is a Premier Inn next door to the bus station but also lots of other accommodation in town, should you want it. Lunch will be a finger food cold buffet. Cake and tea/coffee will be available all day. The cost will be £10 per person to cover food, hall fees etc. In the past some of our lovely menfolk have also joined us so please let us know that too so we can count them in the numbers. There will be the usual activities plus some celebratory frivolity!! • There will be a raffle table and, in the past most folk have donated a little raffle prize. All proceeds will go to the chosen charity for the day. 1. Read the article and immediately decide you can’t come. 2. Think about what a great day it will be, consider the distance and the accessibility - all things are possible after all. 3. Decide.Put your name down. What the hell, you’ll regret it if you don’t, after all! Can’t wait, it will be a lot of noise, chat, laughter and food. And some crafting, of course. But not by me. I plan to be chatting. Please let us know if you’re coming; we don’t ask for a deposit and try to stay as flexible as possible, but knowing numbers is necessary for more than just food...insurance and hall capacity and stuff that only grown ups and organisers need to know! Do you know that between last Wednesday and this, my desk has been an area of prepared intention, total and utter creative mess, and back to calm. It’s really amazing how the motivation forces the morph! Impressive but oddly disturbing, huh! Well, I made a card and five scrapbook LOs since last weeks WOYWW but the place looked as if wild children had emptied all the cupboards. and shelves. And there was absolutely no sign of any rubbish in the bin, it was all over the cutting station worktop, the floor, the Big Shot...it was pretty bad. It only took a whirlwind to tidy. Note the expanding file on the desk. It already looks overstuffed (because it is). It contains ‘scraps’ from patterned papers, so mostly 12 x 12s that I’ve cut up. Bear in mind that every LO I make has scraps used on it. This then proves the truth that these things multiply when your back is turned. The red strip on the desk centre is for my mending attention. It’s the spine of a hardback, cloth bound catalogue belonging to Mr Dunnit. It’s about 50 years old and contains photographic listings of parts and spares for ironmongery and other interesting items. It was given to him as an old catalogue when he was an apprentice and he still uses it for reference. So we had a short discussion ‘bin it or mend it’, and I shall glue it soon. That will be it for desk action from me this week for this is actually scheduled; I am by now, enjoying a quick trip to southern Spain. There’s a bit of business to conduct, and then, well, you have to justify the flight cost, huh! Miss Dunnit is under strict instructions to photograph anything she makes at the desk (making fast and loose with my supplies), but I’m thinking it won’t happen. We’ll see! Meanwhile, make my morning coffee on a sunny balcony even more worthwhile will you - link your WOYWW post here and expect me when you see me! I thank you.